integrate these two perspectives to show how both internal and external forces are interconnected and influence each other. 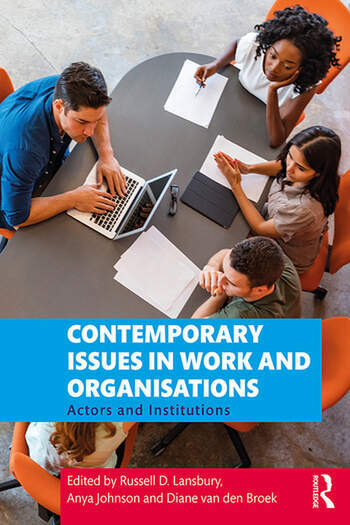 By combining theory and case studies, the book illuminates how ideas and concepts can be applied to work and organisations in a variety of contexts. Russell D. Lansbury is Emeritus Professor of Employment Relations at the University of Sydney Business School where he was Associate Dean (Research). Anya Johnson is a Senior Lecturer at the University of Sydney Business School, Work and Organisational Studies and co-leader of the Body Heart and Mind in business research group. Diane van den Broek is Associate Professor in the Discipline of Work and Organisational Studies at the University of Sydney Business School.